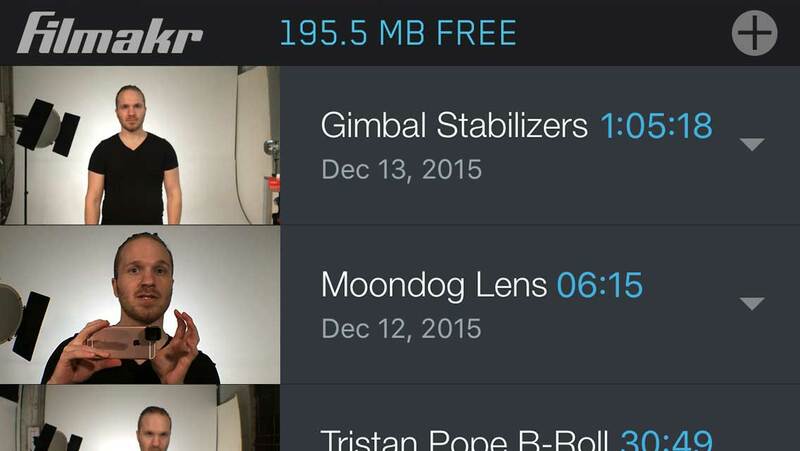 The Filmakr experience is designed to get you shooting right away with a quick start. No need to create an account, nor to sign in, nor even to create and name a new project. 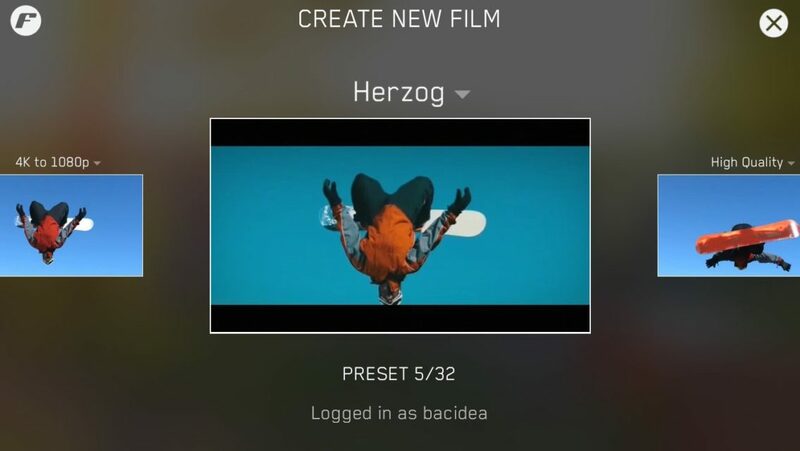 Just tap the record button and you’ve started your first film. 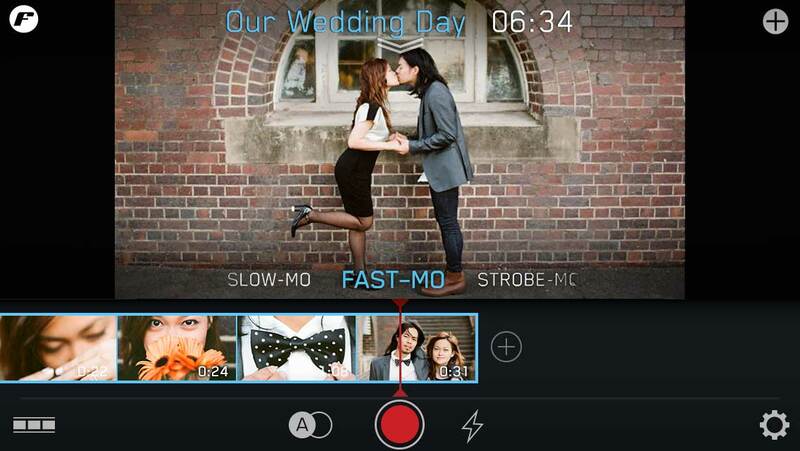 • Is both a CAMERA and EDITOR. 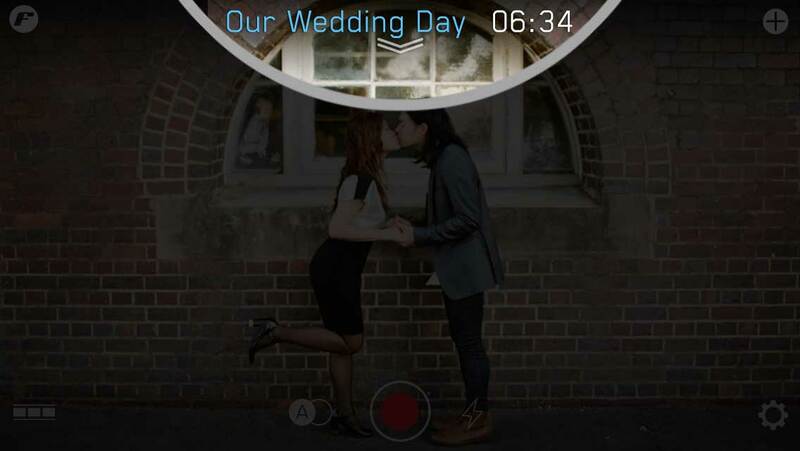 • Toggles between a CAMERA MODE and a PLAYBACK MODE. 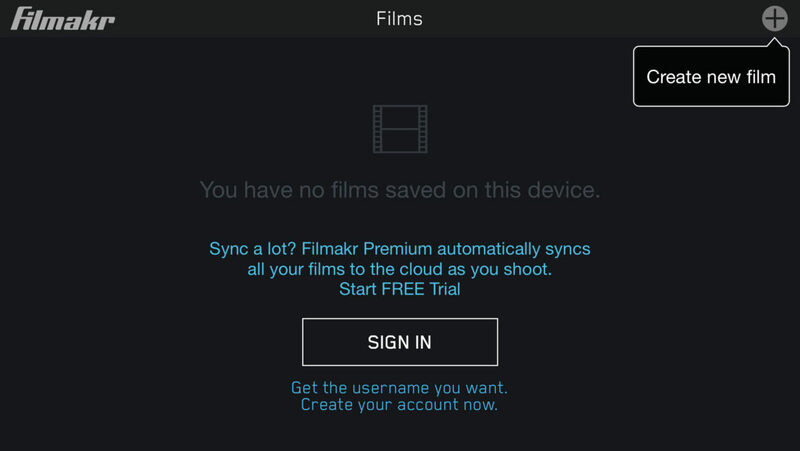 When you launch the app for the first time, Filmakr is in CAMERA MODE. You will see three info bubbles. 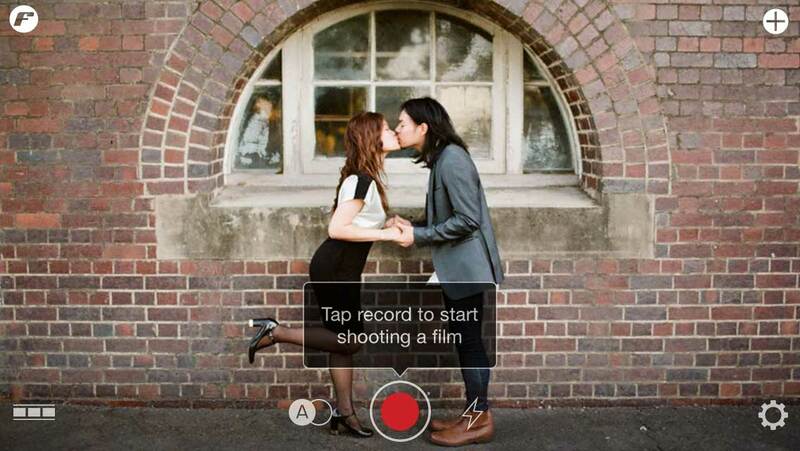 For a really quick start, just tap the RECORD BUTTON to begin shooting! 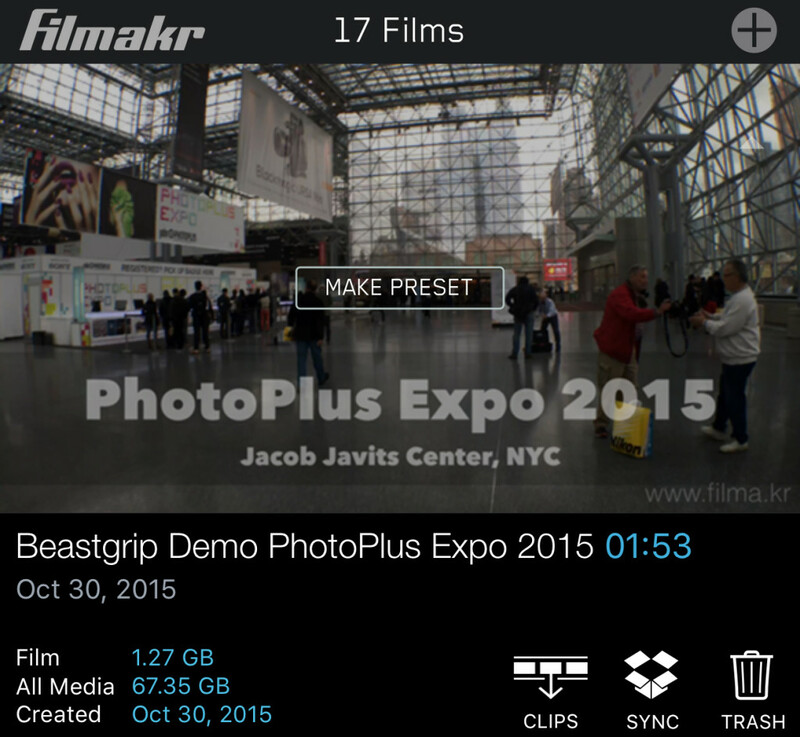 You’ve now create a 1080 24p HD standard bit rate film using the default “Blank” preset. 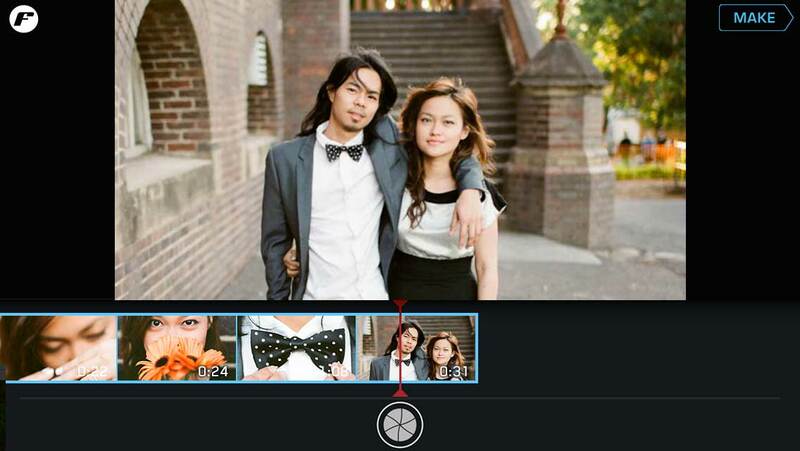 To toggle to your Filmstrip View Tap the FILMSTRIP ICON or double-tap the screen. 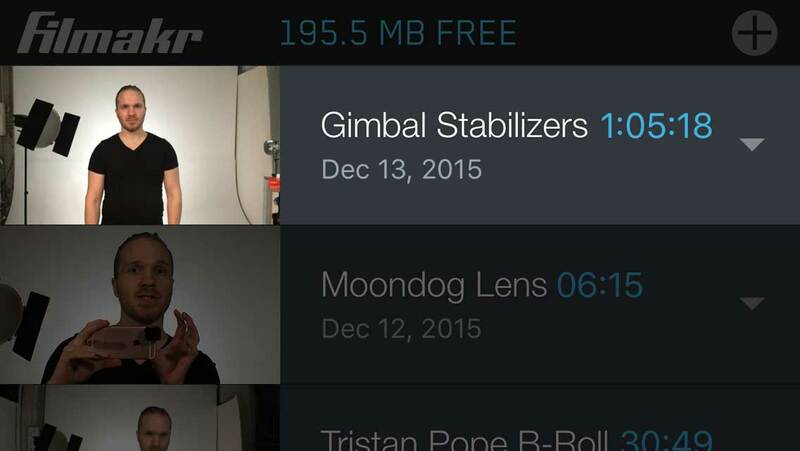 To finish your film and export it to the Camera Roll –while in Playback Mode — tap MAKE in the upper-right corner. To return to Camera Mode just tap the Shutter. 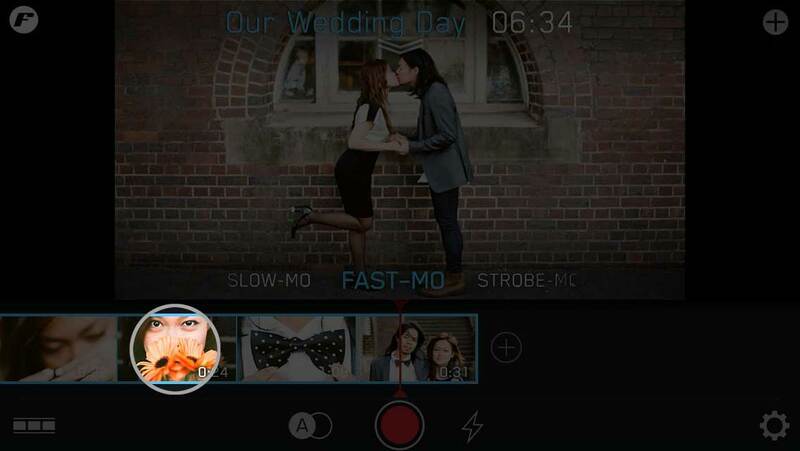 To change Film Settings like filter, aspect ratio mask, soundtrack/music, speed (slow-mo etc), format (e.g. HQ 50mbps 48kHz) tap top center drop down. 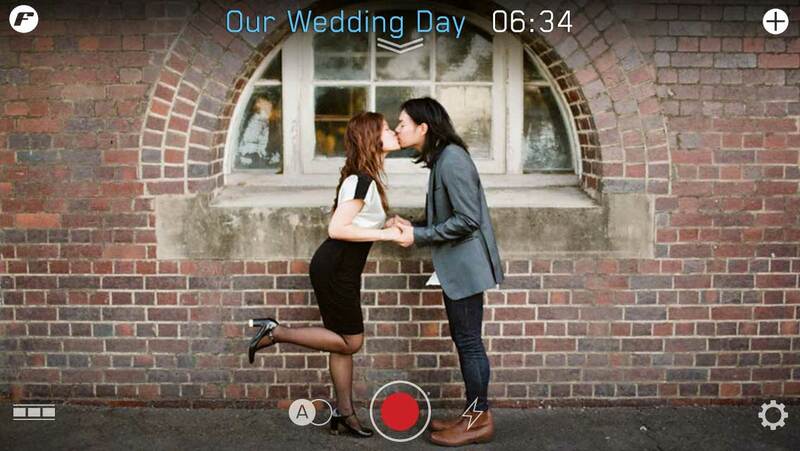 For camera tips and camera settings, Tap Gear in the lower-right corner. 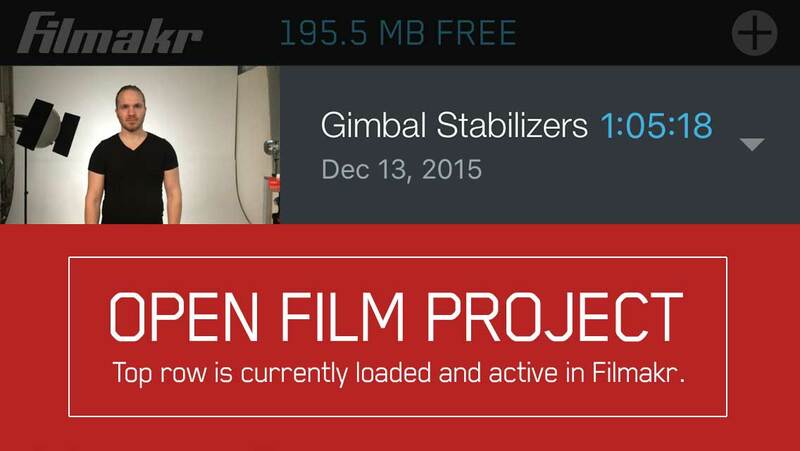 The top row of the Films List is your currently active, OPEN FILM PROJECT you are working on. When you open another film by tapping on the row, it moves to the top of the list. 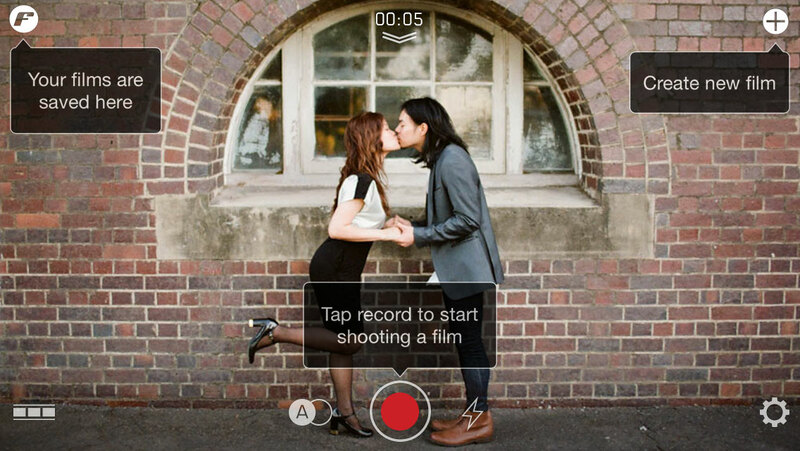 • Copy All Clips: Copies all clips to the Camera Roll on your device. • Dropbox Sync: Automatically copies all media to Dropbox as it is added to your project.